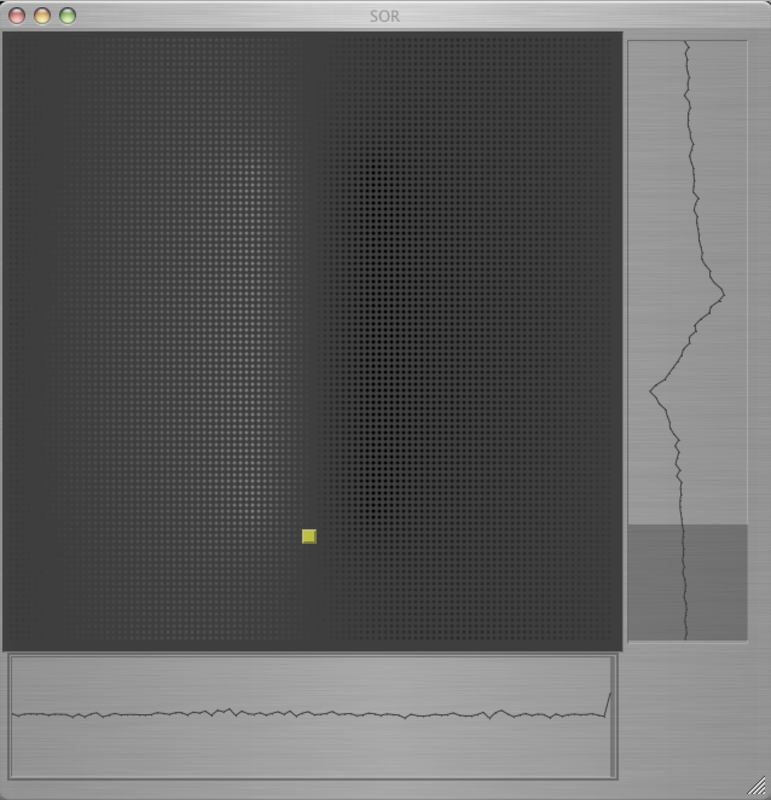 This sonification method was developed for the display and interactive exploration of 3d-plots. It allows to click on a drawing and listen to the surrounding "landscape" of the spot. In different angles (i.e. east, north-east, north, north-west and so on) melodies indicate the slope of the values. Whereas in colored plots only a qualitative picture of the topology can be given, this slope gives detailed information on the relative differences in a certain region. The sonification is tested here with a simple data set: a potential is simulated with the successive over-relaxation algorithm, using the Laplace equation. A Faraday cage, a dipole and a condensator are modeled.